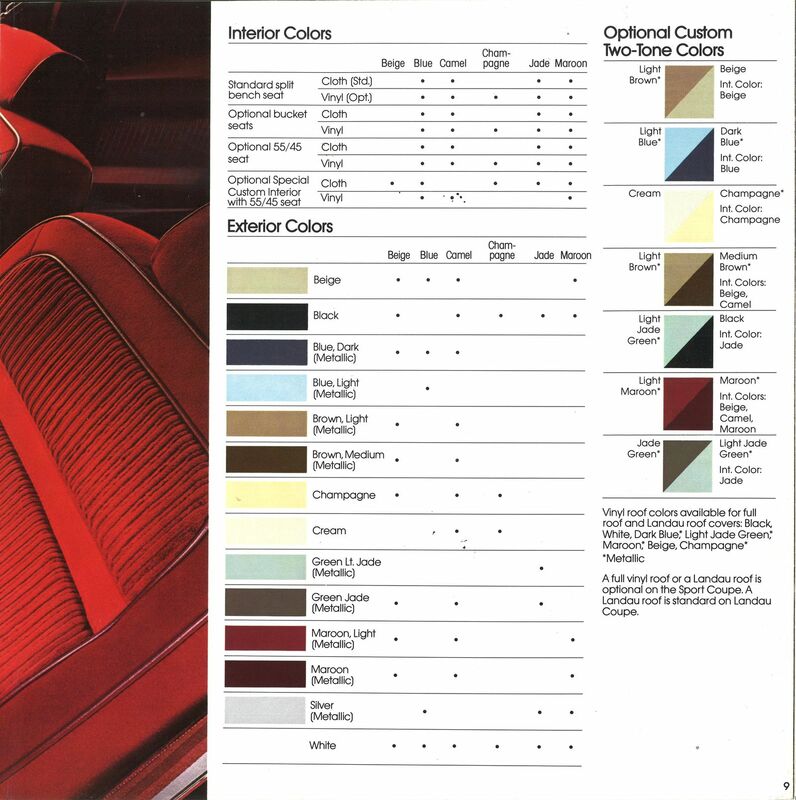 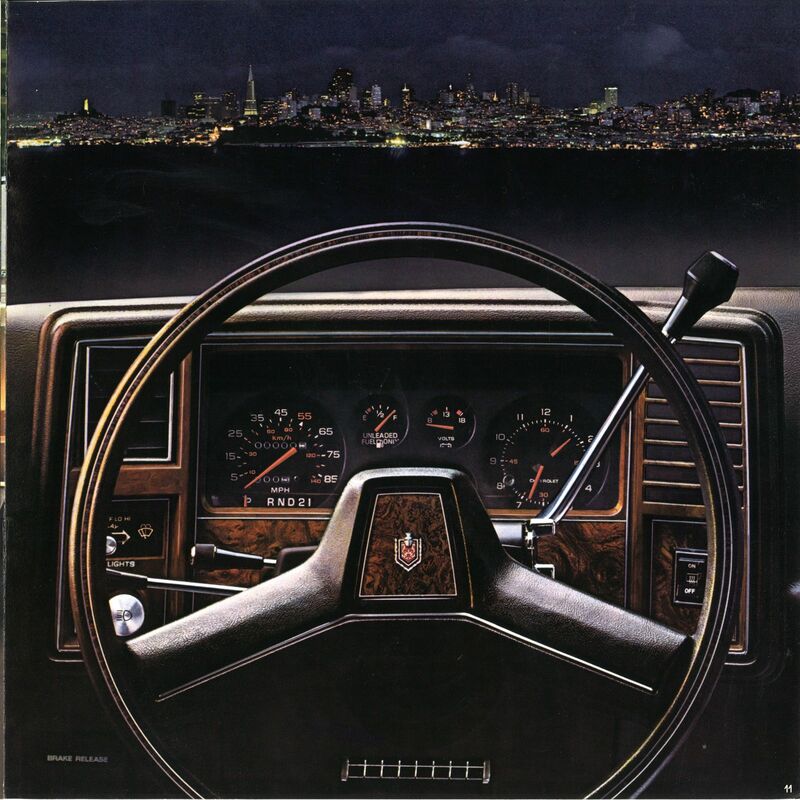 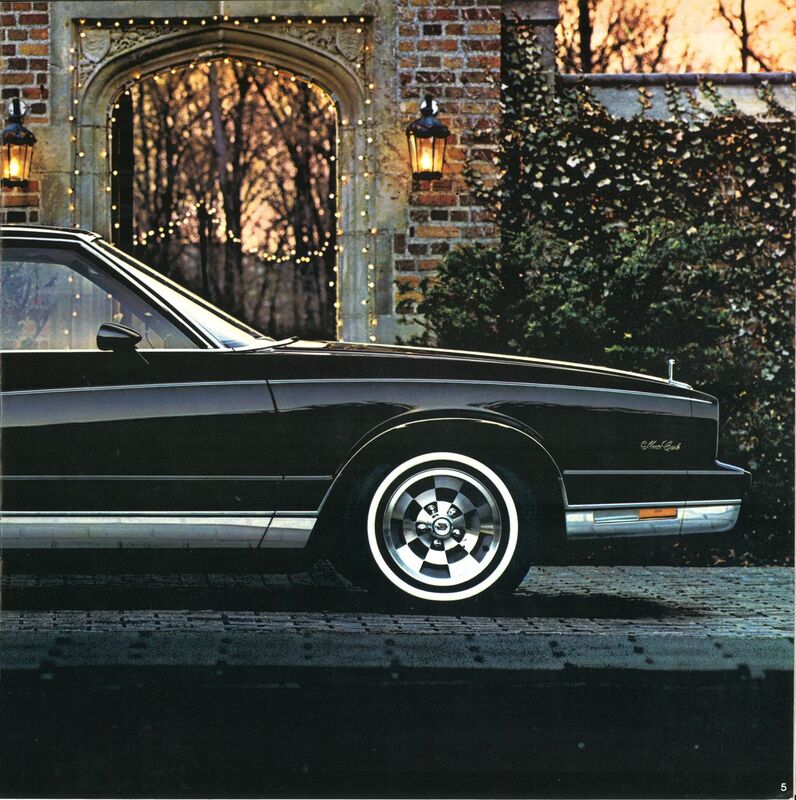 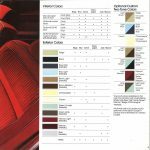 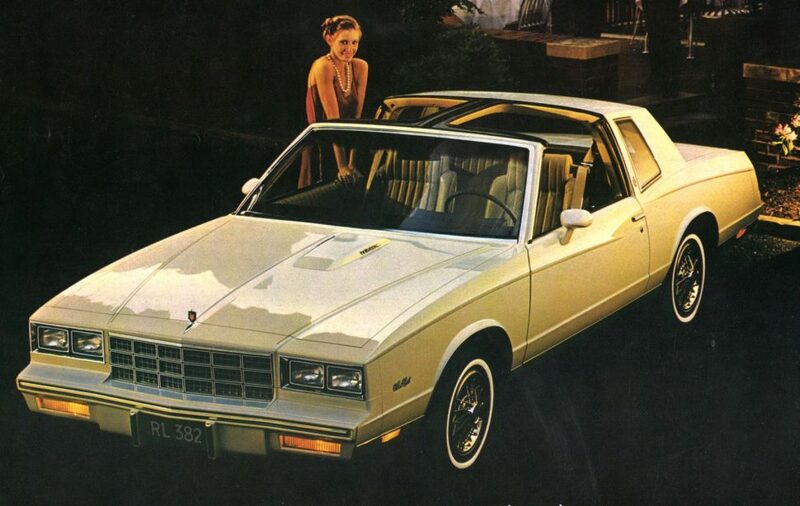 The downsized A/G-body Monte Carlo was one of the most popular and ubiquitous American cars of the 1980s, and its sales success was no fluke: This Chevrolet offered attractive styling, a sumptuous “personal luxury”-themed interior, and comfortable driving dynamics. 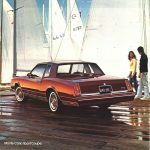 This Chevy had gained a comparably exotic engine option in 1980, the final model year of the third-generation: the Buick-engineered and -built 231-cu.in. 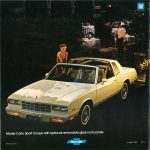 (3.8-liter) turbocharged V-6. 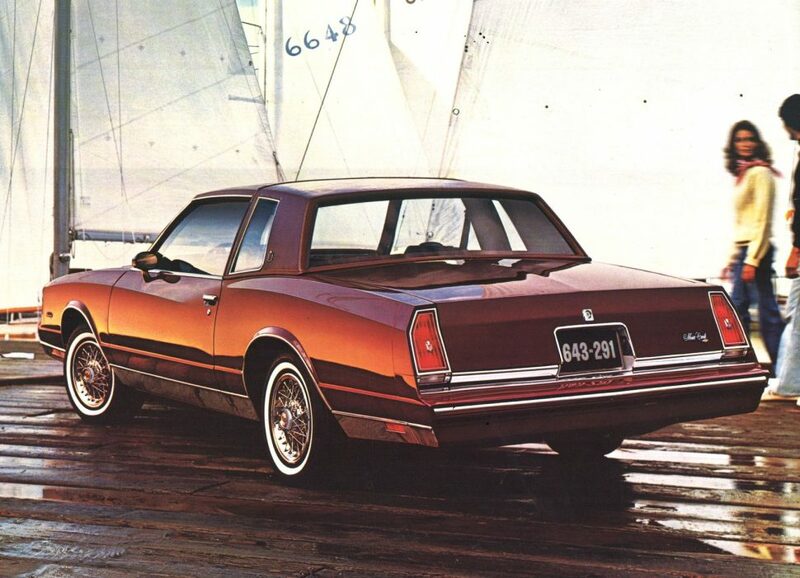 That engine would carry over into 1981’s crisp new fourth-generation Monte Carlo, and create an unlikely performer. 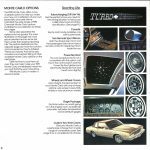 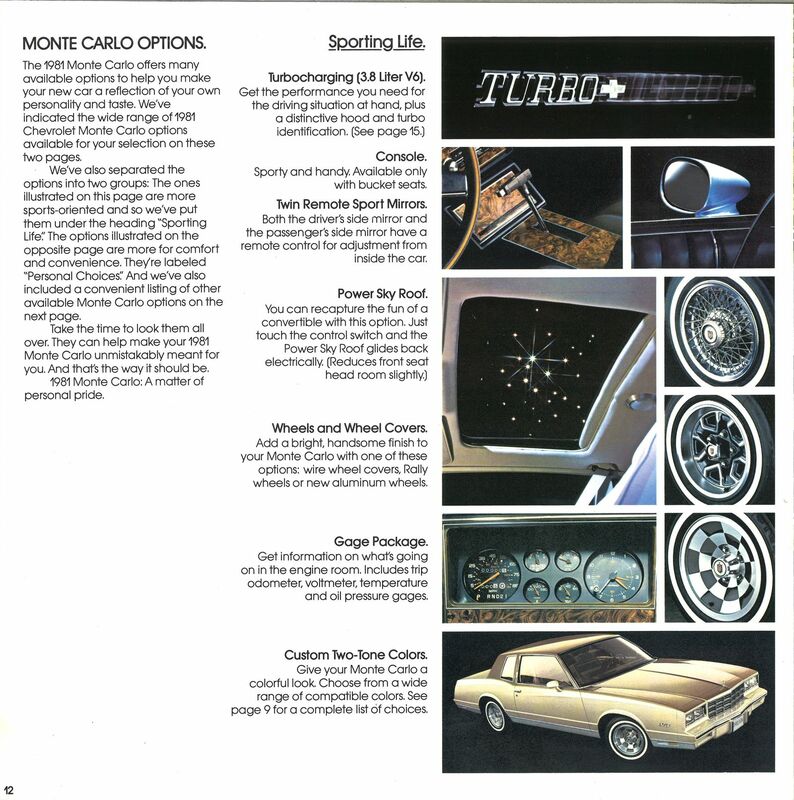 When the turbo’d V-6 was first fitted in the Monte Carlo, it breathed through a Rochester four-barrel carburetor and made 170 hp at 4,000 rpm and 265 lb-ft of torque at 2,400 rpm; this output notably outpaced that of the larger optional four-barrel-carbureted 305-cu.in. 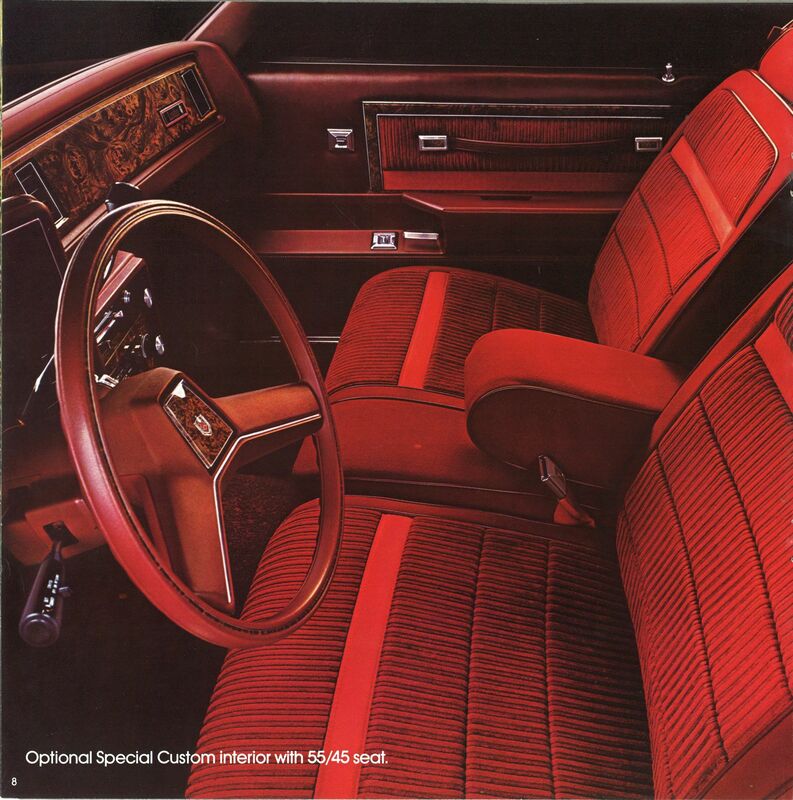 V-8., which offered 155 hp at 4,000 rpm and 240 lb-ft of torque at 1,600 rpm. 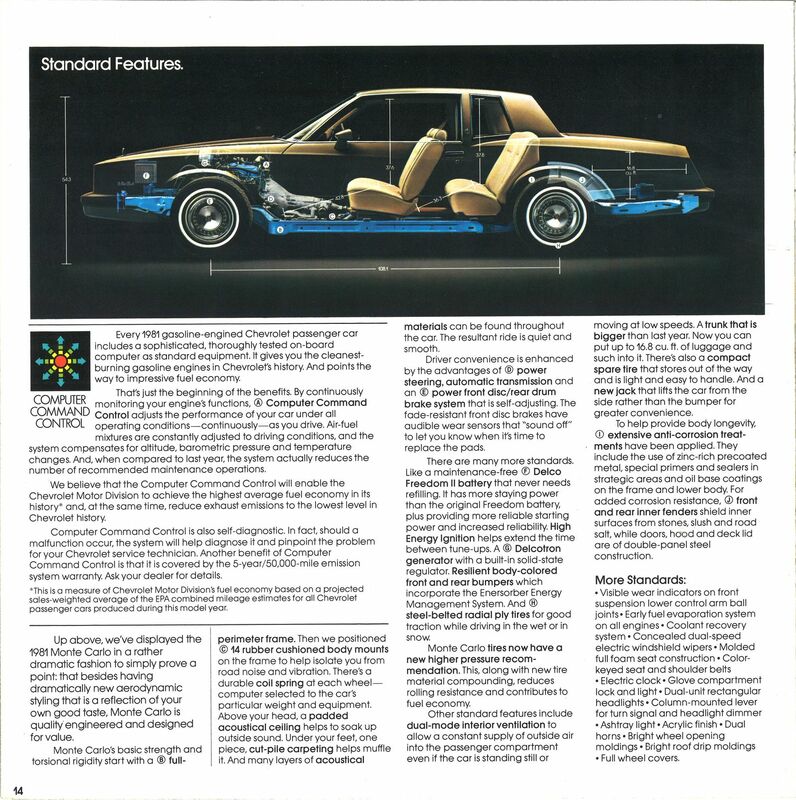 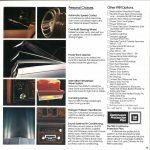 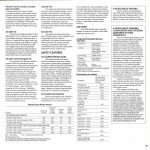 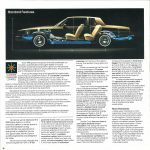 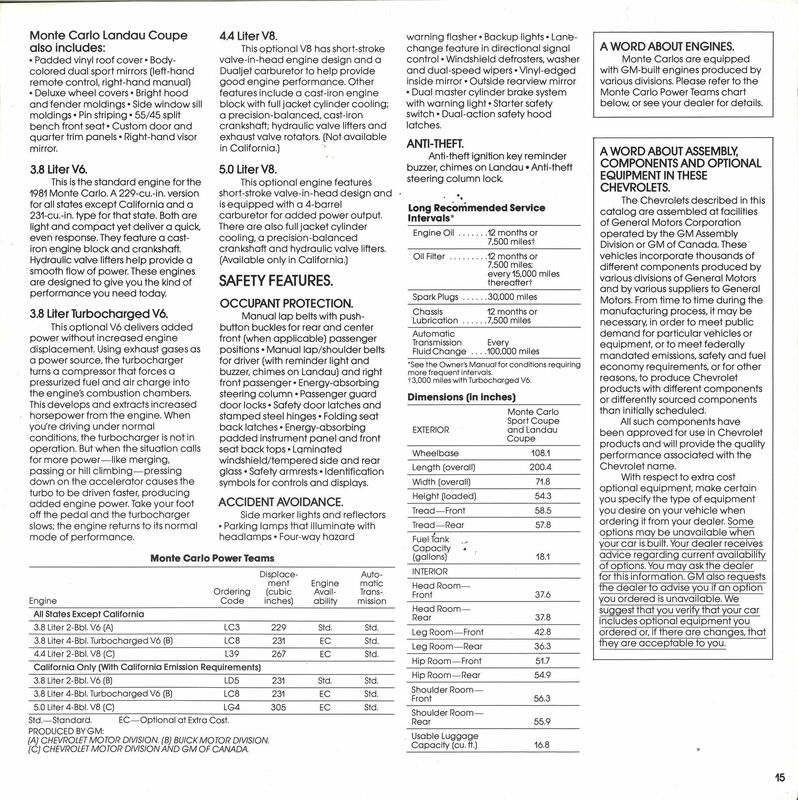 The 231 V-6 gained another 10 lb-ft of torque for 1981, the year this engine cost $750 (roughly equivalent to $2,080 today) and, like all of GM’s gas-fueled engines, was retrofitted with “Computer Command Control,” which optimized the spark and air/fuel ratio to adjust for different driving conditions. 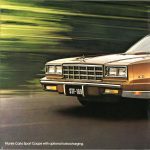 While its 170 hp may not seem like much to motivate a 3,102- to 3,228-pound car, this was just 20 hp and 5 lb-ft of torque down from the Corvette’s 350-cu.in. 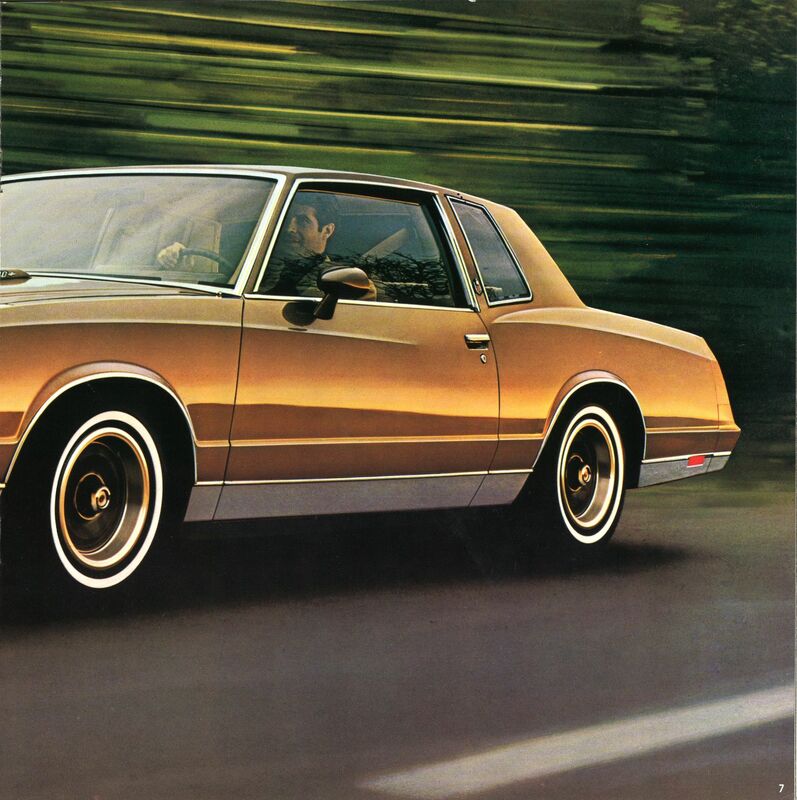 V-8… and the 1981 ‘Vette weighed in at 3,307 pounds! 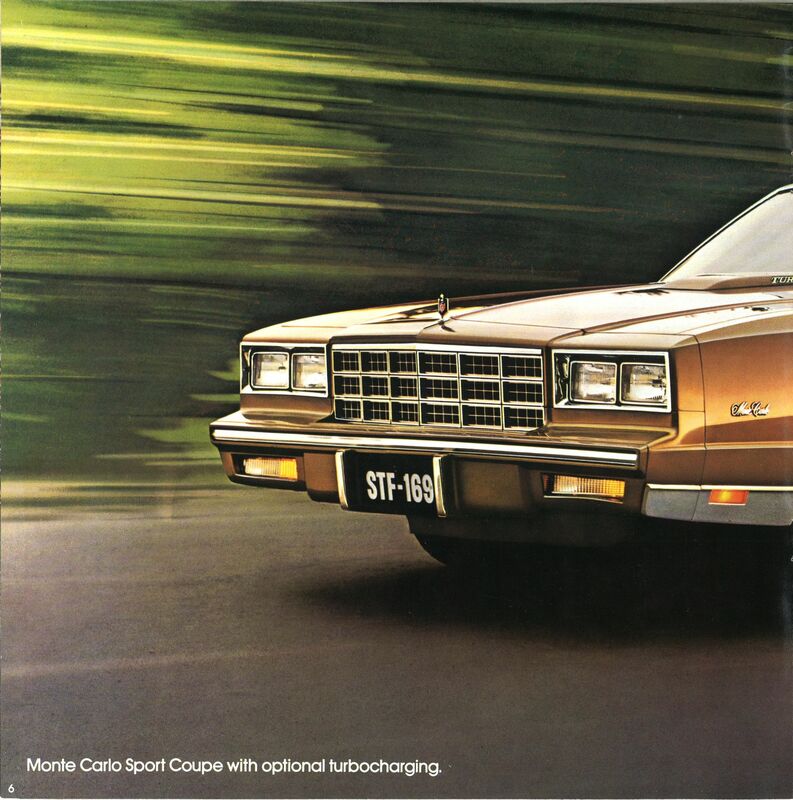 In spite of that surprising parity, outright performance wasn’t in this Monte Carlo’s job description — that wouldn’t happen until Chevrolet introduced the SS variant for 1983. 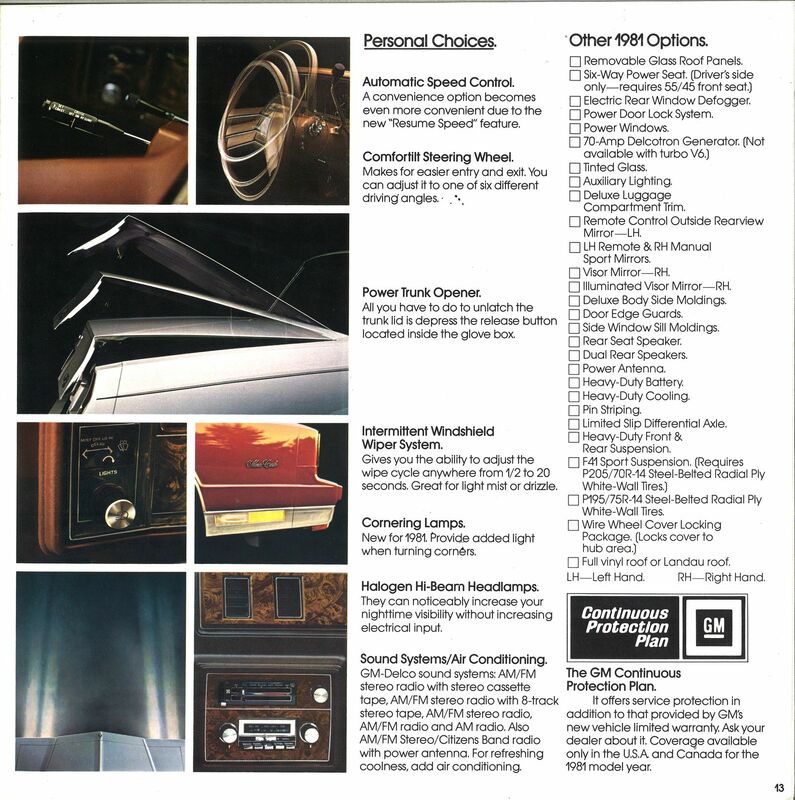 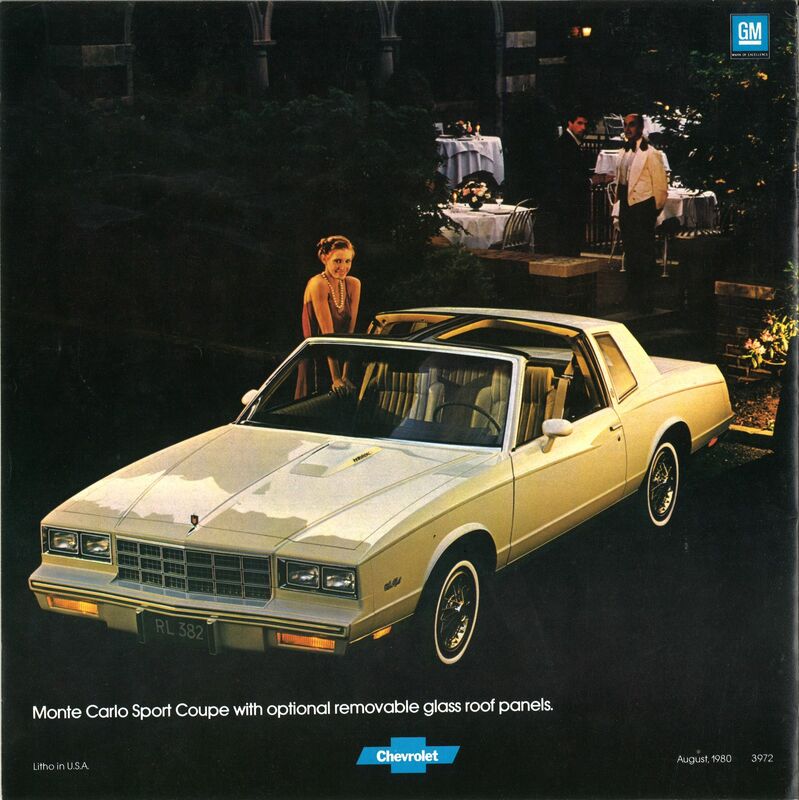 Indeed, the 1981 Monte was almost apologetic about acknowledging the forced induction under its hood (note the small “Turbo”-badged hood bulge and the small emblem on the passenger side of the dash). 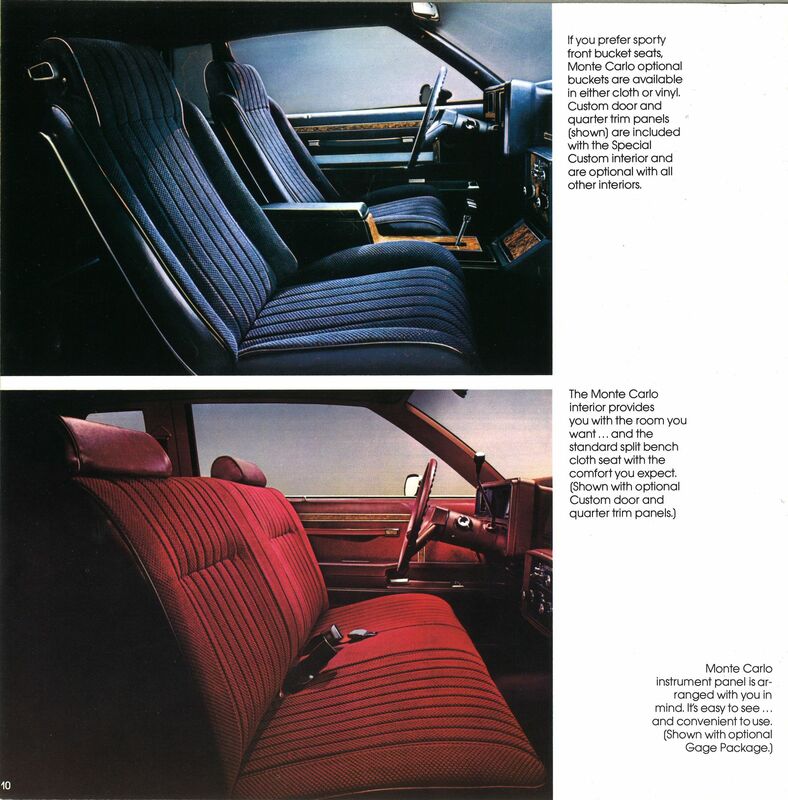 No, cosseting was this car’s raison d’etre, and you could indulge yourself with air conditioning, cruise control, plush split-bench seating, wire wheel covers, a power “Sky Roof,” and even a two-tone paint scheme. 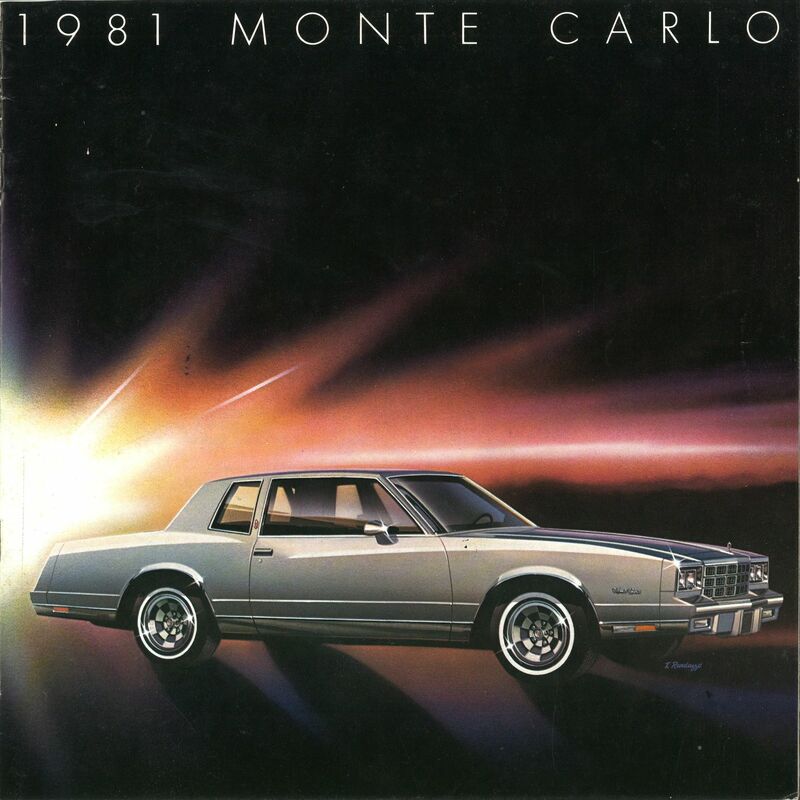 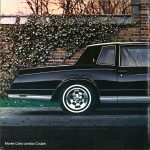 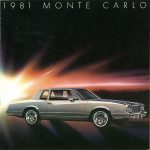 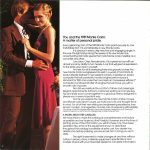 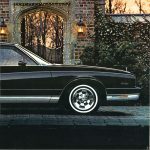 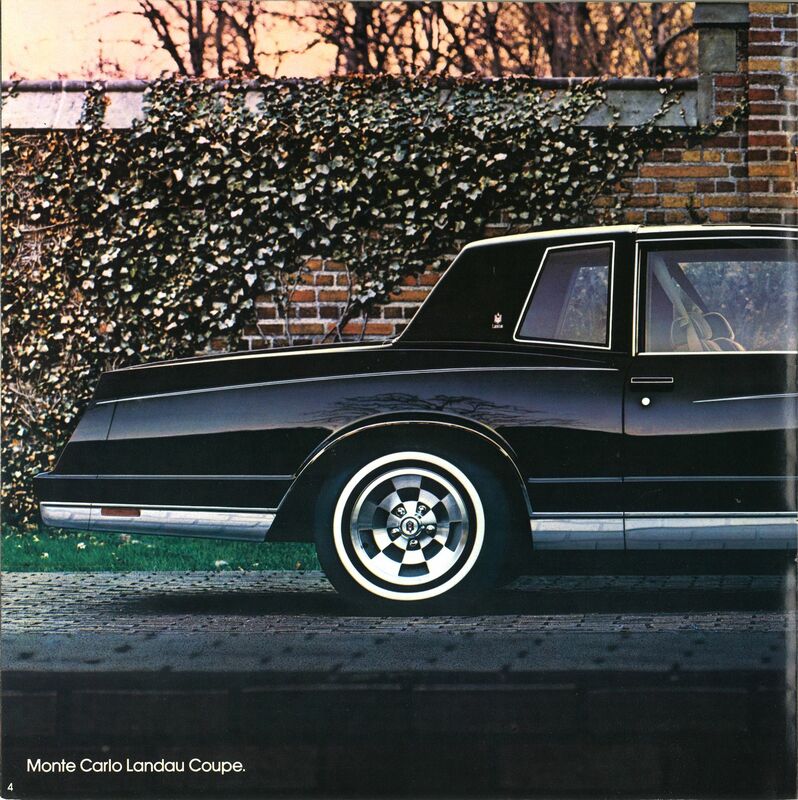 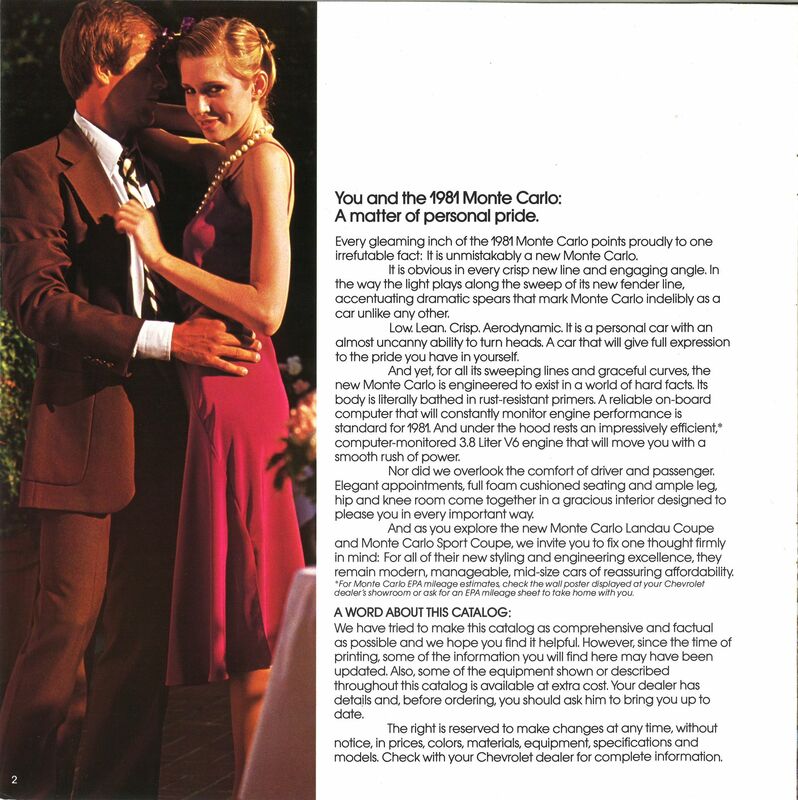 While Monte Carlo sales were healthy for 1981, with 149,659 Sport Coupes and 38,191 Landau Coupes leaving showrooms, just a tiny fraction of them carried the boosted Buick engine: 3,027, compared to the 13,839 Monte Carlos so equipped in 1980. 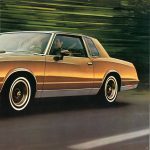 It wouldn’t return in this package for 1982, but that turbo V-6 would continue to be used in Buick, and Pontiac applications through the end of the 1980s, and would even inspire turbocharged V-6-powered GMC trucks built in the next decade. So if you could walk into a Chevy showroom in 1981, would you option your Monte Carlo for luxury, or give it a sporty flair? 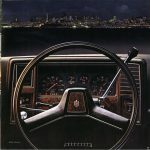 And would you splash out on the pricey turbo option that made it uniquely capable in that economy-focused era?